A couple days ago, I had an interesting conversation with a business owner who was looking to renegotiate his office lease. He told me he is currently working with a business consultant to help him to do this. I thought, Wow! Hold on, a business consultant? The word “˜consultant’ can easily be misleading and tricky. Consulting is the right motive, but a real estate consultant is the right specialist. 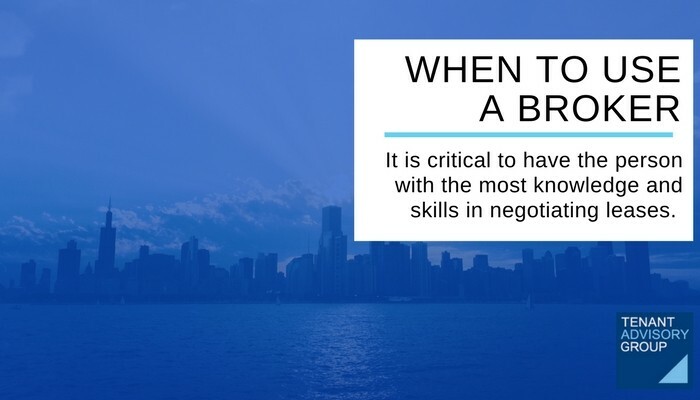 The more experience the better: When it comes to dealing with your second largest expense–like an office lease–it is critical to reach out and recruit the person with the most information and skills in negotiating leases. The business consultant speaks directly to the landlord and asks what his best offer is. The business consultant then shares this information with the client who then calculates their best offer. The business consultant, who has no outside sources to compare prices of office leases, “negotiates” a price with the landlord. The landlord, aware that the business consultant has no outside information, has the upper hand. On top of this, the business consultant charges the client, who was left with poor results. Clients first: The real estate consultant first asks the client what their intentions are. The more information and knowledge, the more skilled the negotiator: The real estate consultant researches other buildings in the area, compares lease prices and shares this with the client. The client then has the choice and upper hand to renegotiate the lease with the landlord or change offices. The landlord is now aware that he/she has competition and is more willing to seriously renegotiate the lease. In addition, with a real estate consultant, the client owes nothing! The landlord compensates the broker. The business consultant may have results but unsatisfying results. If you want the best results, think competition, think high savings, and get a real estate consultant.